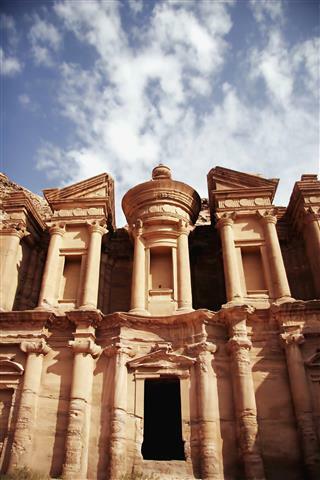 This is a seven day tour in Israel and Petra. If you would like to add more days or services like lunch on the touring days, upgrading your hotel, adding more hotel nights, you can do so for an extra fee. This tour may start on any day of the week but the order of the tour may change. There is also an option to add a Nile cruise. View the Mount of Olives, the Church of all Nations, and the Garden of Gethsemane. Enter the Old City and pass the Armenian Quarter to the Byzantine Cardo. Continue on to the Jewish Quarter to arrive at the Western Wall. 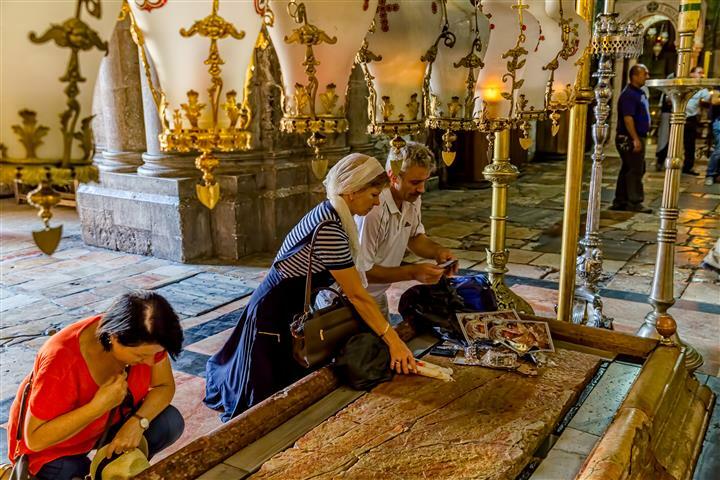 Walk along the Via Dolorosa and follow the Stations of the Cross, to arrive at the Church of the Holy Sepulchre. Walk through the market of the Old City, and move on to the Yad Vashem Holocaust Museum. Overnight in Tel Aviv. Day 2: Caesarea, Acre, Haifa Pick up at 07:15 from your hotel. Travel along the Mediterranean, and pass Hertzelia and Netanya, to arrive at Caesarea. 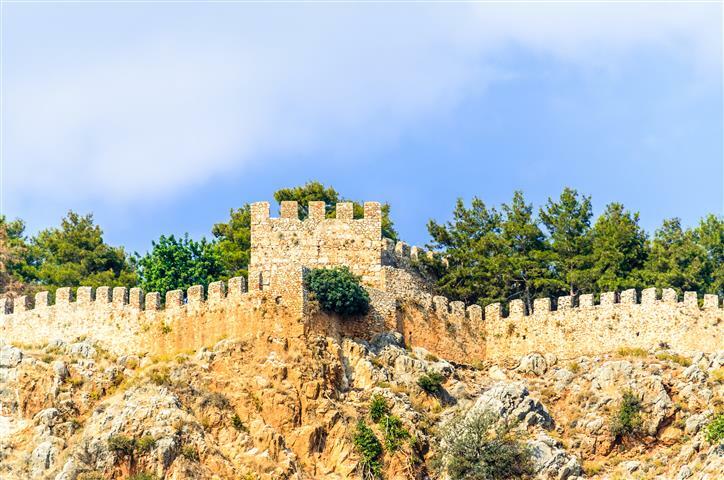 Tour the Roman city that was built by Herod and dedicated to Caesar, the Roman Emperor. Tour the theater and beside it the hippodrome. Continue on to tour the remains of a Roman temple. 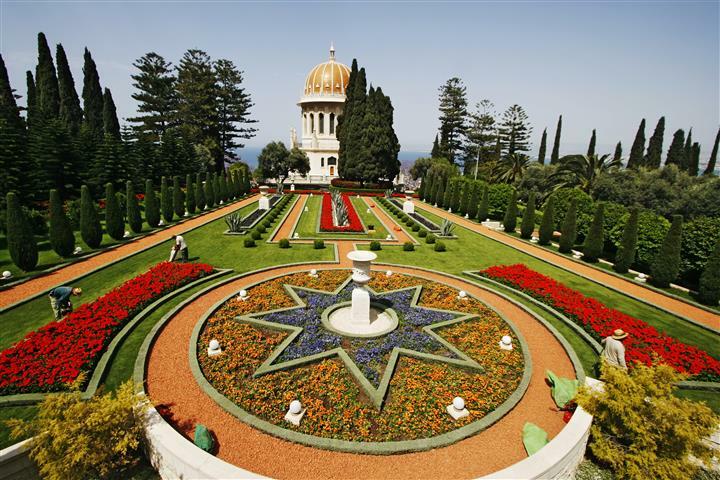 Arrive in Haifa to see the Baha’i shrine and gardens which are a spectacular site to see. Driving north, stop at Rosh Hanikra to ride the cable car down to the grottoes. 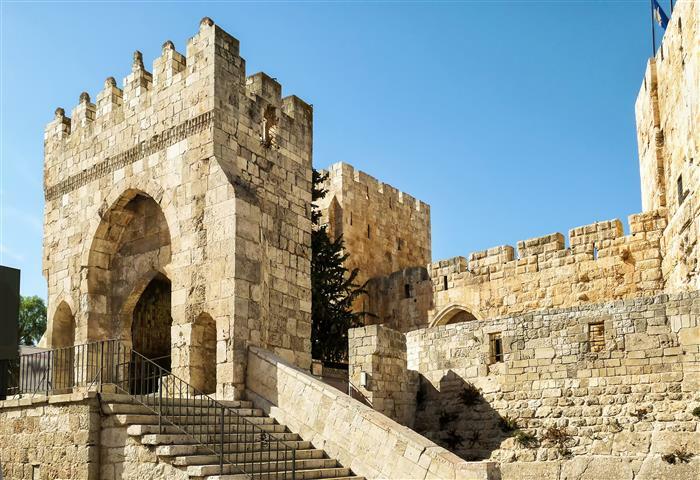 Drive on to Acre, and tour the largest Crusader city in Israel. It is very well preserved, as you will see walking from chamber to chamber. Tour the Turkish prison where they used to hang Jews that were opposed to British policy. Back to your hotel in Tel Aviv. Day 3: Nazareth and Sea of Galilee. Pick up at 07:15 from your hotel. Drive through the plain of Armageddon, and view Megiddo. Ascend Nazareth and stop at the Mount of Precipitation. 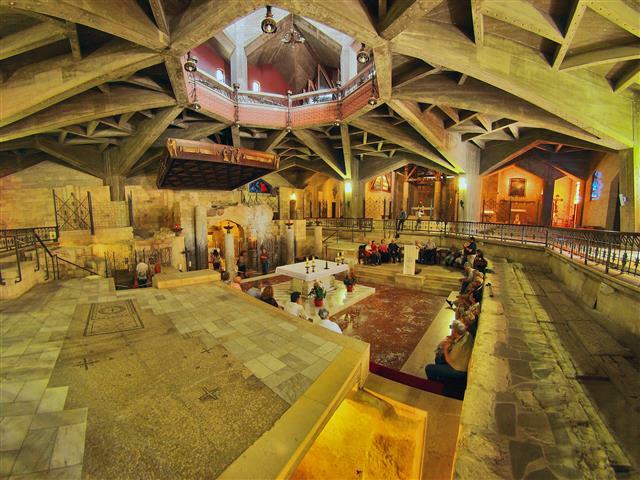 Tour the Church of Annunciation and next to it the Church of St. Joseph. Pass Cana on the way to the Sea of Galilee. 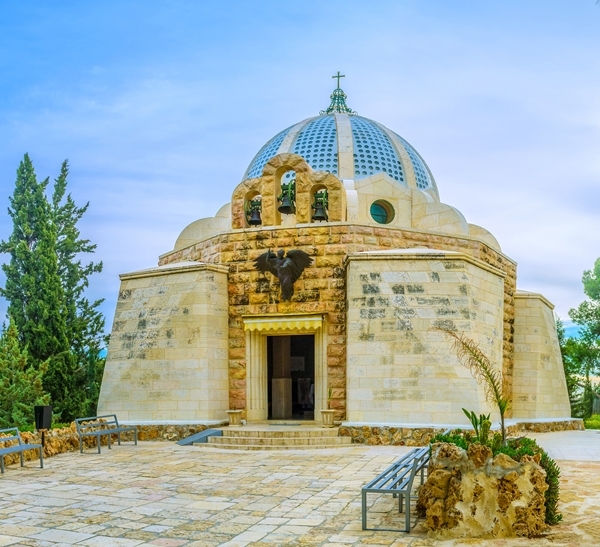 Visit Capernaum at the foot of Mount Beatitude, and tour the Bendictine Church. Pass Tiberias, with the mountains of the Golan Heights in the background. Stop at the south end of the Sea of Galilee, at Yardenit, where if there is time, you may be baptized. Returning pass Mount Tabor. Back to your hotel in Tel Aviv. Day 4: Masada and the Dead Sea. Pick up at 07:15 from your hotel. Drive south through the Judean desert, and pass the Inn of the Good Samaritan, on the way to the Dead Sea. 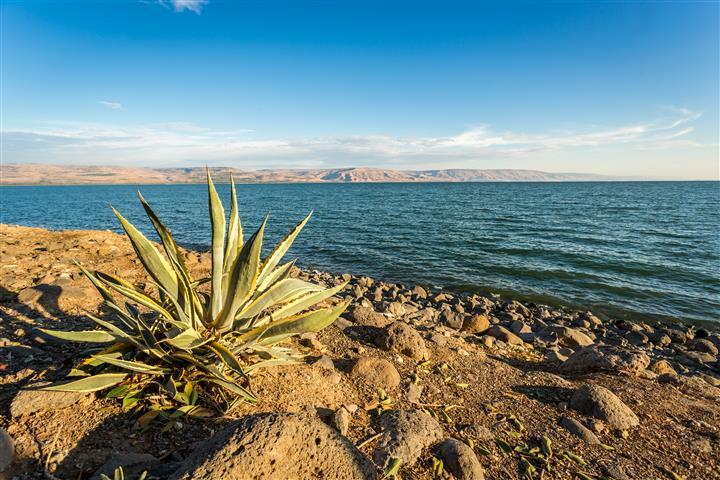 Continue driving to Masada while stopping at a few places of interest on the way. Arriving at Masada, take a cable car to the top, all the while your guide will explain what you are seeing along the way. Arriving at the top, start to tour the palaces that were built by Herod, the bath house, the synagogue, Roman barracks, and more. As we are traveling back, pass Ein Gedi, and the Qumran caves where the Dead Sea Scrolls were found. Arriving at the Dead Sea, you can enjoy a swim in the therapeutic waters. The water is 35% salt so you are not required to know how to swim. Back to hotels in Tel Aviv. Day 5: Tel Aviv Pick up is between 08:00 and 08:30 from your hotel. 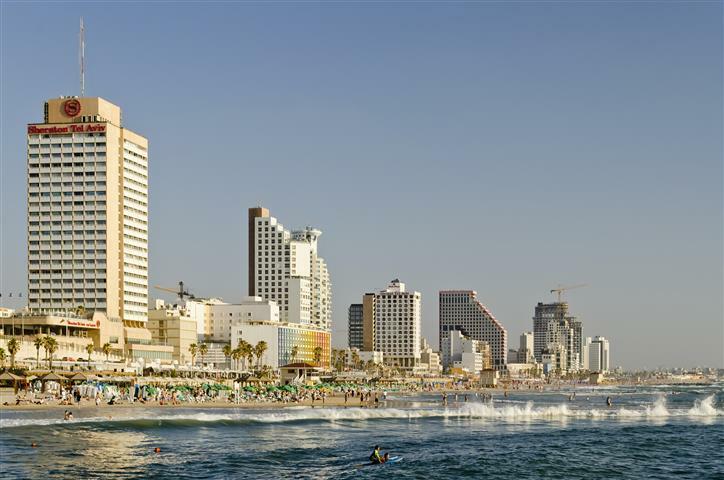 Tour the best of Tel Aviv with your licensed guide. Tour the Diaspora museum, this will show you the culture and history of the Jewish people. Drive the streets of Tel Aviv, including the most interesting places to go out on the town in the evening, and the business center. Stop at the place where Yitchak Rabin was assassinated. Tour Old Jaffa, and see the ancient ruins. Take a walk in Neve Tzedek, the first neighborhood of Tel Aviv. Tour Nahalat Binyamin, to see the artists, the special stores of handmade crafts and jewelry, and the musicians. Stop at Sheinkin to soak up the youthful atmosphere. 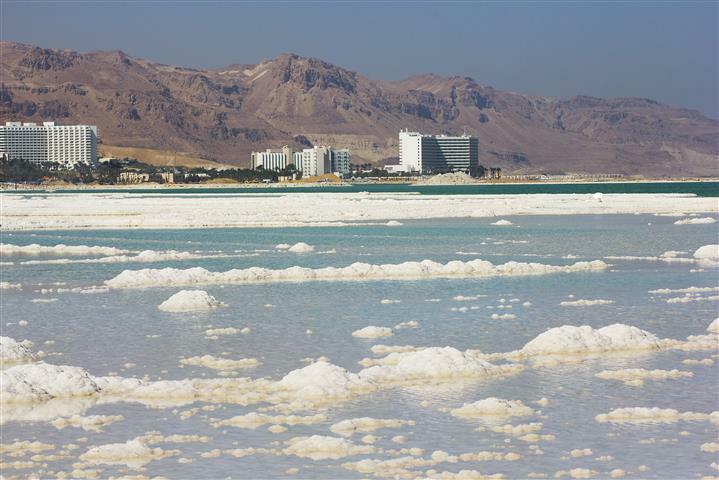 In the evening you will have a flight to Eilat, and overnight in Eilat. This is a free day where you can sleep late, go to the beach, or go to do some shopping. Eilat is a tourist town with lots of free beaches and shopping malls. Overnight in Eilat. Day 7: Petra Pick up at 08:15 from your hotel. A driver will take you to the Arava border and help you with border proceedings. Start the drive to Petra, about 2 hours. Arrive in Petra and start the tour with your guide. Walk through the Siq, which is a pathway, to arrive at the Treasury. 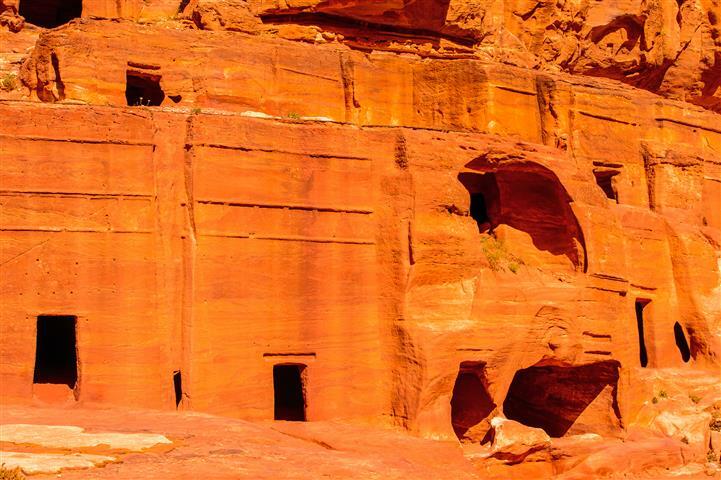 Continue to tour Petra to see the amazing facades carved out of the sandstone, the temples, and much more. Stop for lunch about 15:30. After lunch start the drive back to Eilat, and the airport for your flight back to Tel Aviv. Visa, We can make it for you at the border for $75 per person. If you would like to add more hotel nights, days to the tour, or subtract days from the tour, please contact us.